Powder playground and wilderness wonderland, Big Sky is Montana at it’s best. 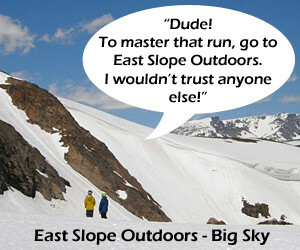 World-class skiing, hiking, fly fishing, and rafting means Big Sky is big adventure – year round. Spanning 1.8-million acres and six mountain ranges, Gallatin National Forest is a wilderness playground of trout streams, snow-capped peaks, and big game wildlife. Part of Gallatin National Forest and just Northeast of Bozeman, the Bridger range offers tons of outdoor recreation, including skiing at Bridger Bowl. The Madison Range is home to 11,231 ft Hilgard Peak, the tallest mountain in Montana outside of the Beartooth Mountains. Massive herds of bison and elk roam the two-million-plus acres that make up Yellowstone, America’s first National Park. Drive its 300-some miles of paved road to take in the geysers and the grandeur of the largest intact ecosystem in the continental U.S.
Take a summer-time guided tour of the stalactites and stalagmites in one of the largest limestone caverns in the Northwest. 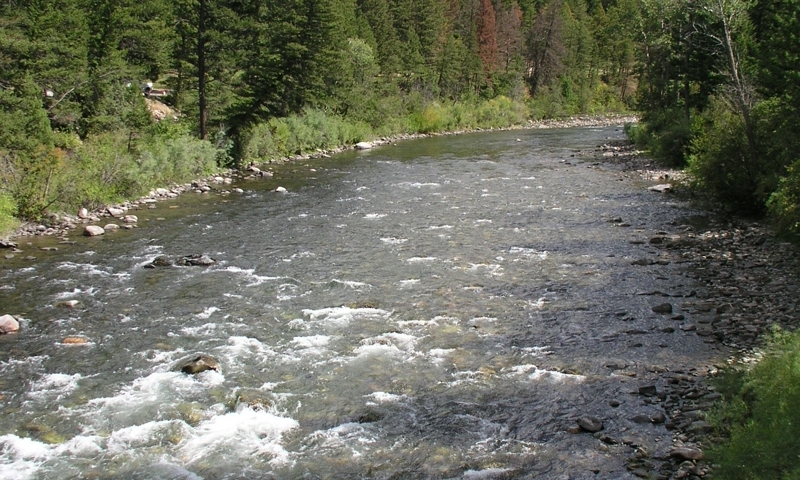 An Angler’s paradise, the Madison River is home to thousands of rainbow trout per each of the river’s 183 miles. Formed almost instantly when an earthquake caused an 80 million ton rock slide to block the Madison River in 1959, this natural wonder can be viewed from the Earthquake Lake Visitor’s Center, 66 miles Southwest of Big Sky. Spanning across 75 miles, the Gallatin Range is a collection of dramatic 10,000 ft peaks. Camp, boat, fish, and swim at this spectacular man-made lake brimming with browns, cutthroats and rainbows. Iconic 11,166-foot Lone Peak dominates the Big Sky landscape. Ride the tram in the winter for expert skiing or make the trek by trail in the summer for the 360-degree view of three states, two national parks, and dozens of dramatic peaks. Bighorn sheep lick salt off the side of 64, moose and elk wander into local back yards, and eagles swoop down from towering pines. No need to get out your binoculars here, wildlife in Big Sky is up-close and personal. Meet the original Montana natives - Tyrannosaurus rex and Triceratops, on display at the Museum of the Rockies’ dinosaur collection. Then visit the Taylor Planetarium or the Living History Farm, where period reenactors keep up the small homestead farm. This 1902 homestead still stands in The Meadow area of Big Sky, offering free historic weekend tours during the summer months. Check out the original 1901 cabins and asbestos mine of homesteader Pete Karst in this Montana ghost town. 3,812 skiable acres, 4,350 vertical feet, and 400 inches of annual snowfall. Big Sky Resort is known for endless powder and crowdless skiing. Moonlight’s 1,900 skiable acres and 4,150 vertical feet join with Big Sky Resort to form the largest skiing terrain in America. Located at the West entrance of Yellowstone National Park, this IMAX theater shows educational movies like Yellowstone year round. Experience the history, wildlife, and geology of America’s first national park on the jumbo screen before stepping outside to see it for yourself. Pan for gold or witness an old fashioned melodrama in this frozen-in-time gold rush mining city 40 miles west of Big Sky. Whether it’s playing shuffleboard at Lone Peak Brewery, broomball on the town ice rink, or eating Thai food at The Lotus Pad, the local action happens in the Meadow Village, Big Sky’s town center. One of Big Sky’s private clubs and living communities, offering fine dining and a private lift to Big sky resort. Hiking, fishing, camping and cross country skiing are are popular at Harriman State Park.